Anderson Fuel is much more than oil fuel deliveries. 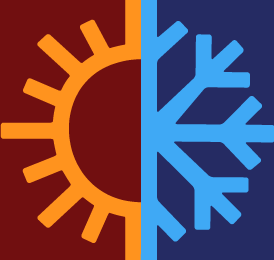 We are your full-service heating and cooling partner. We ensure that your equipment is maintained for peak performance with regularly scheduled service. Should breakdowns occur or you are in need of an equipment upgrade we are right by your side with immediate, professional response. That’s the Anderson difference! 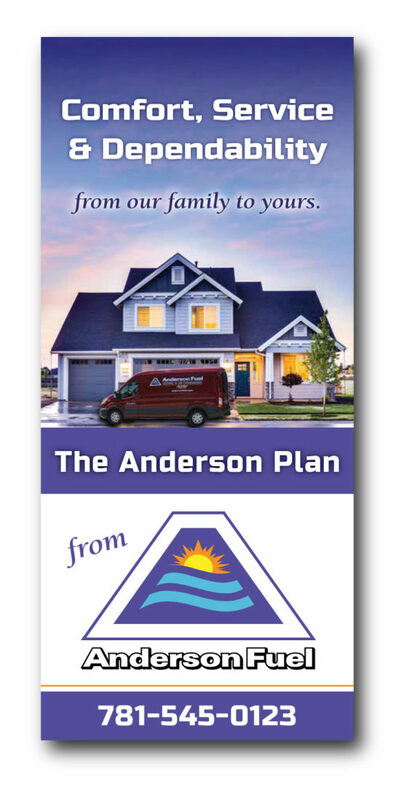 For questions about our plans below, please contact Mr. Frank Smith at 781-545-0123 or mailto:frank.smith@andersonfuel.com. If you would like to become a customer, please visit our New Customer Page and submit a New Customer Application. Visual inspection with vacuum cleaning of the heating appliance and flue pipe to the chimney base as necessary. Remove, clean and/or replace the ignition system, nozzle assembly, electrodes, and filters. Clean and calibrate controls as required. Inspection of all safety devices. Conduct efficiency test of the heating appliance and post results nearby. FREE parts as covered under the Plan (see brochure and diagram). FREE labor 24/7/365 for the length of the Plan. Automatic deliveries are based upon industry-standard calculations of degree days and K factor. In order for degree day calculations to work accurately, each delivery must fill the tank up to 100%. We make deliveries when there is 20-30% remaining in the oil tank. For more information about degree days, click here. We help customers manage heating costs with lower payments spread over the course of the year. Budgeting is based upon 11 months of equal payments for a predetermined estimate of total annual oil usage, and invoiced August through June. The month of July is reserved to adjust for any outstanding balances. Invoices are mailed at the beginning of each month with payment due at the end of the month. Call for more information. We deliver an ultra-low sulfur bio-fuel that is treated with an additive that makes it burn cleaner, reduces condensation, and protects your oil tank. This allows us to offer the TankSure® oil tank warranty program. We’ll schedule an ultra-sonic testing of your tank to determine its thickness and then provide you with up to $1,500 replacement coverage should it deteriorate or leak. And when it comes time to sell your home, TankSure offers potential buyers additional peace of mind. Call for details. We offer discount pricing to our Automatic Delivery customers aged 60 and older. Call with questions and / or to enroll.